Designed with a coastal seaside wedding in mind, the Island letterpress wedding invitation evokes the ambience of a wedding in the mediterranean. A bright summery design to capture the atmosphere of a destination wedding by the sea. The style of the motif illustration works perfectly with the letterpress print process to create a beautifully embossed wedding invitation. Inspired by a few of our Designed For You projects, we have drawn on some destination wedding designs from Mediterranean Islands: Spain, Greece & Italy being popular choices. We wanted to create something in our Ready To Go collection that embodied that summer seaside wedding feel. The Island design would also suit personalising with a bespoke motif or venue illustration. 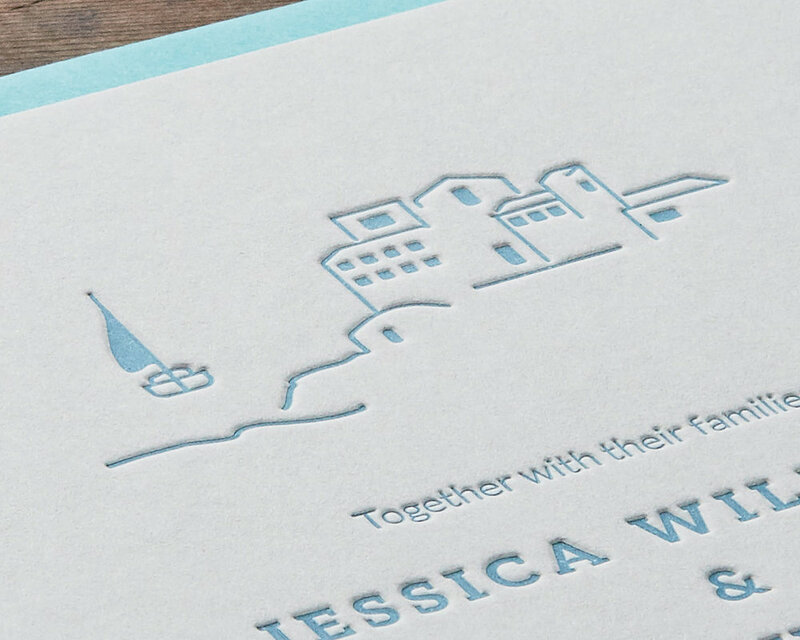 The Seaside invitation works beautifully with a deep letterpress texture. The style of the illustration and font selection have been designed to really exaggerate the pillow effect of the deboss. 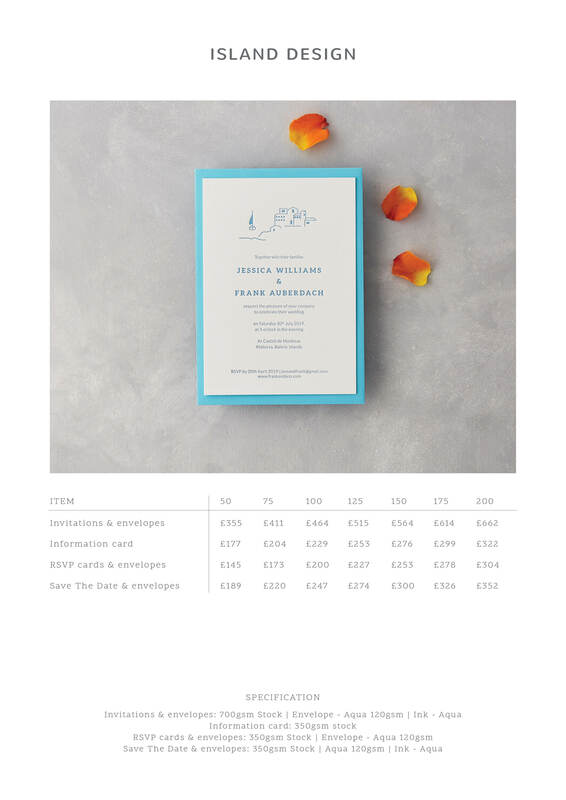 From Save The Dates through to Orders of Service & Thank You Cards, matching wedding stationery for all aspects of the wedding can be created for this design. Printed in Aqua blue the design has a bright beach wedding theme perfect for the big day itself.